Chris has been with SERVPRO of Brighton/Howell & Greater Highland/White Lake since the franchise first opened and is one of the company owners. He obtained a Master of Business Administration Degree and a Bachelors Degree in Construction Management/Building Construction Technology from Ferris State University. Chris is an IICRC Master Certified Water/Fire Restorer and also a licensed IICRC Instructor in Water Damage, Fire Damage, and Odor Control classes. In addition, he is a Veteran of the US Air Force (Reserve/ANG) and served in the Middle East in 2015 in support of Operation Inherent Resolve. 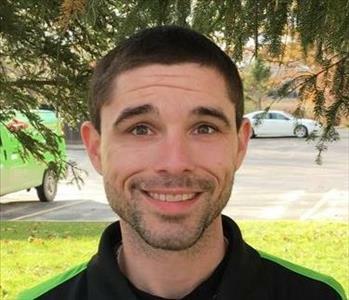 Josh is one of the Operations Managers at SERVPRO of Brighton/Howell and Greater Highland/White Lake. Josh has been with SERVPRO for 9 years and has an extensive background in building and remodeling. Josh is certified in Water Damage Restoration, Applied Structural Drying, Applied Microbial Remediation, Fire & Smoke Restoration,Odor Control and Lead Safe Renovator. Emily has been SERVPRO of Brighton/Howell and Greater Highland/White Lake since 2016 as the Marketing Representative. Emily develops relationships with local insurance agents and adjusters and represents SERVPRO at local functions. When Emily is not running around in her SERVPRO green car, she is busy being a wife and mother. Dan is a Production Manager at SERVPRO Brighton/Howell and Greater Highland/White Lake. 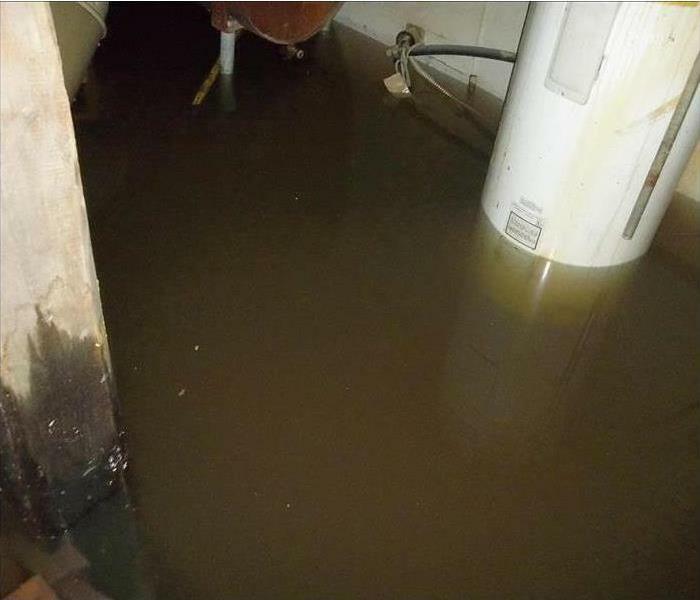 He has several years experience in the restoration industry and is IICRC Certified in Water Damage Restoration. Dan is one of the most soft spoken employees here at SERVPRO, but it is his calm demeanor that puts clients at ease. When Dan is not running a fire or water clean-up, he is an avid hockey fan and his favorite team is the Detroit Red Wings! Ryan is a Production Manager here at SERVPRO of Brighton/Howell and Greater Highland/White Lake. Ryan has been with us since 2015. Although Ryan is one of our newest production managers, he handles every loss like a seasoned pro. Ryan is IICRC Certified in Water Damage Restoration. When Ryan is not giving excellent customer service to our clients, Ryan enjoys spending time with his wife and is a proud dad to 3 children. Paul is a Production Manager. He was born and raised here in Michigan. He enjoys a good rodeo and spending time with his wife of 8 years and 2 beautiful children. In his free time, he takes pride in woodwork and is quite good at it… Just ask him! Ralph is a Production Manager here at SERVPRO Brighton/Howell and Greater Highland/White Lake. He is a powerhouse of energy and determination. In his spare change he focuses on creating a bright future for his daughter and family. 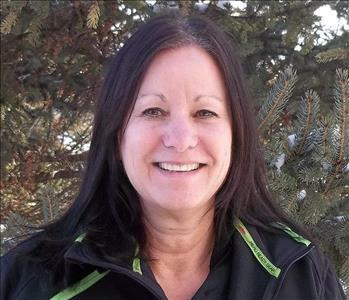 Wanda is a Crew Associate here at SERVPRO of Brighton/Howell and Greater Highland/White Lake and specializes in Fire content and structure cleaning. Wanda also jumps in and helps with water restoration as well. Wanda claims to lead a very boring life, but outside of SERVPRO, she is a proud mother, devoted grandmother and amazing baker. Kevin is a Crew Associate with SERVPRO of Brighton/Howell and Greater Highland/White Lake and has been here with us since 2014. Kevin is IICRC Certified in Water Damage Restoration. Kevin is a bow hunting enthusiast. He makes the most amazing deer jerky. His sense of humor keeps us smiling even through the hardest of days. Kelly is a Crew Associate with the most infectious laugh you have ever heard. She helps keep us all happy and uplifted. She is draws her joy from her wonderful husband of 22 years and 2 amazing children. Darren is one of our Crew Associates and our resident avid fisherman. On a pretty summer day, you can find Darren out on the softball field. He enjoys his playing softball and pulling for those Spartys! He has an inquisitive mind and has innovative ideas that he will readily share. Tim is a Crew Associate and like most loyal Michiganders loves those Lions! Tim spends a lot of time outdoors with his family building projects, playing football and hanging out with his friends. One word to describe would be 'Hardworking' which explains why he is such a good fit here at SERVPRO. Kennedy has been with SERVPRO of Brighton/Howell and Greater Highland/White Lake as the office mascot for 3 years now. Kennedy is our official greeter and loves when we have visitors. 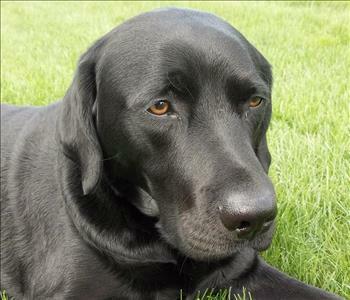 Kennedy's hobbies include, long naps, eating cookies and rolling in the grass. 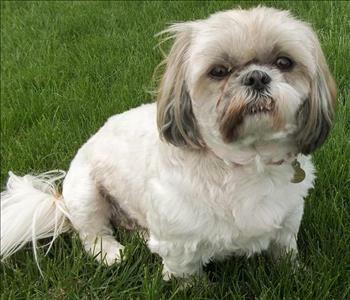 Emma has been the mascot at SERVPRO of Brighton/Howell and Greater Highland/White Lake for 5 years now. She loves to alert the office staff of visitors and is always found sleeping on someones lap during meetings. Emma's favorite snack are green beans.